Although without captain fantastic Jason Holder, the West Indies team has the momentum with them and given the terrific their bowlers and batsmen are enjoying, it will not come as a surprise if the home side manages to topple the England cricket team in the upcoming Test match to do a 3-0 clean sweep of the series. A high-flying West Indies team will be looking to complete a series whitewash when they face England in the third and final Test match on Saturday at St Lucia. However, the Caribbean side will have to deal with the absence of their instrumental skipper Jason Holder, who has been banned from playing the upcoming match for maintaining slow over rate in the penultimate Test match. After back-to-back comprehensive victories over the travelling English side, West Indies leads the 3-match Test series 2-0. England skipper Joe Root will be hoping that his below-par team put in a great performance with both bat and bowl in order to save themselves from total humiliation. English batsmen have been absolutely abysmal so far in the series with none managing an average of over 27. 246 runs is the highest total the Three Lions have registered so far in four innings played. The England bowlers have been equally shambolic in the Caribbean series so far. In the four innings, they have managed to bundle out the West Indies batsmen on two occasions. On the other hand, West Indies have been absolutely rampant so far in the series. 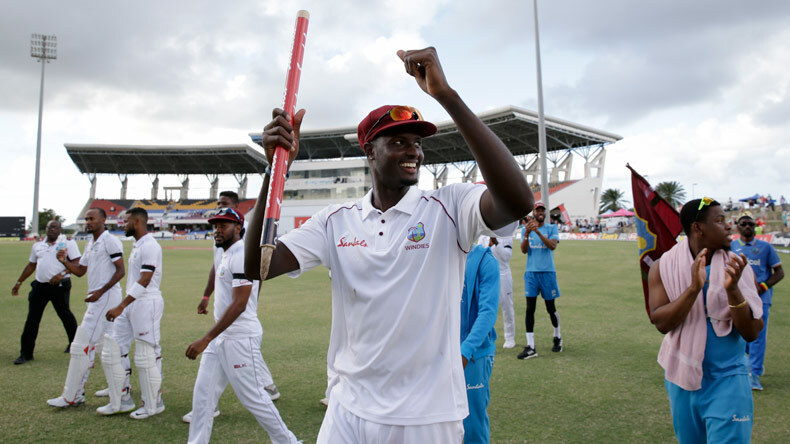 In the first Test match, Windies batsmen produced a collective performance, including a sensational double ton from skipper Jason Holder. While Kemar Roach and Roston Chase, who took 8 wickets in second innings alone, helped their side win the match by a massive 381 runs. In the second Test, Kemar Roach wreaked havoc again on England batting lineup while the West Indies top batting order produced brilliantly yet again. Roach and Holder bagged 4 wickets apiece and dismantled the travelling opponents at a cheap score of 132. The home side secured yet another resounding victory by 10 wickets.